The allure of autumn can linger anytime of year now. Warm, inviting red corundum reminds us of irresistible fall favorites: apple pie, changing leaves, hot cider. 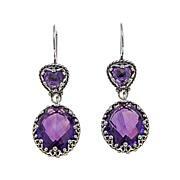 Hugged by ornate filigree sterling silver leaves, the red corundum in this earring pair becomes a timeless staple. 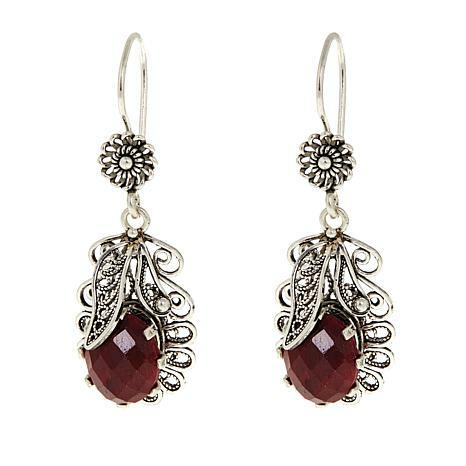 Sterling silver earrings each have oval red corundum surrounded by filigree "leaves"
I love this collection. 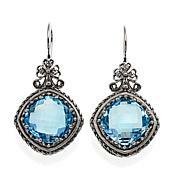 These earrings are very nice. 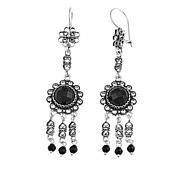 Could be used with a casual or dressier out fit.Have purchased a bracelet and rings from the Ottoman Collection as well and really love all of my pieces. 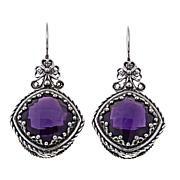 the earrings are beautiful but the closures don't make contact, making it likely that you can lose one or both of them. I had to return them.